Wine Night The Next Morning: Got Wine? A fun look behind the scenes of the popular show “Northwest Wine Night TV,” as well as wine musings from the show’s Senior Producer. We taste two bottles of wine per episode, plus what our live audience tastes along with our panelists. There’s forty episodes per season, times that by the five seasons we’ve filmed so far. That’s a lot of wine, hiccup! Where does all that wine come from? For this month’s behind the scenes of Northwest Wine Night TV I sat down with the host Brian Calvert to get the scoop! Q: What can we expect on Season 6 launching September 7th? Q: Any regions we haven’t covered but would like to? Q: Where does the wine come from that is featured? Q: So there’s no catch? Q: What do you consider Northwest? 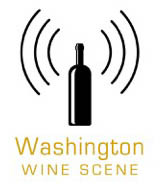 BC: Our “Northwest” is any wine made in Washington, Oregon, Idaho, Montana, or British Columbia. Q: If a wine maker has their wine on the show how many people are likely to see it? BC: “Average viewership for Season 5 is a new record: 765,000 views per episode. We had a couple episodes of Northwest Wine Night TV top a MILLION views. So, I’d say a lot of people are going to see your wine on this show. Join me every month for refills as I bring you more behind the scenes moments from our Northwest Wine Night TV filming days and be sure to watch the season opener on September 7th. Cheers! The post Wine Night The Next Morning: Got Wine? appeared first on Woodinville Wine Country. The second (see what I did there?) 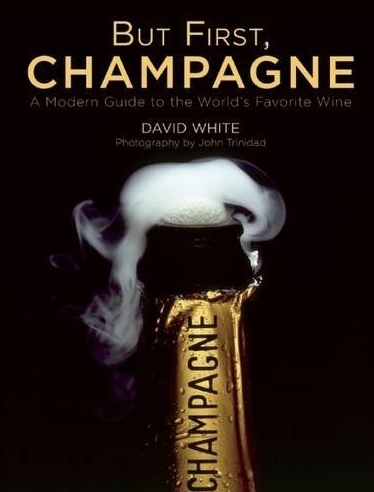 is But First, Champagne: A Modern Guide to the World’s Favorite Wine ($18 , Skyhorse Publishing) by David White. I think by “modern,” David’s publishers meant to convey “up-to-date.” And an up-to-date one-stop-style guide for Champagne (including history, producers, and notable wines) was arguably so long overdue – and its subject matter so universally popular among wine lovers – that it’s shocking, in hindsight, that we haven’t seen a similar take published already in the last four or so years. David’s fond of short sentences, and probably overly-fond of effusive qualifiers, but he writes very well, clearly cares about the stories being told about the region’s producers and their histories, and he has done a very, very good job of laying out the current state of Champagne in the context of the world wine marketplace. There’s a lot to like in But First, Champagne, not the least of which is the fact that both newbies and jaded connoisseurs alike can find ample merit within its pages. Copyright © 2016. Originally at But First, Wine Books (August 2016 Wine Product Roundup) from 1WineDude.com - for personal, non-commercial use only. Cheers! 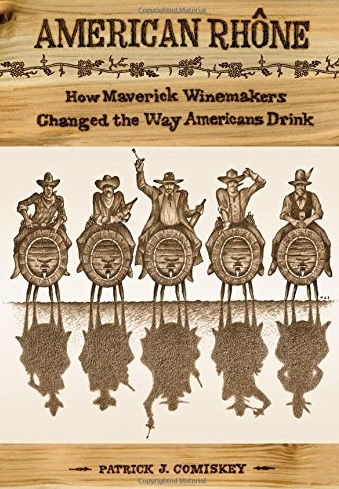 One of the great perks of having been at this wine writing thing for some time involves my association with the Symposium for Professional Wine Writers, for whom I serve as an occasional speaker and mentor (just by way of a disclaimer in advance of the plug which follows). And one of the great pleasures of this association is getting to spend a few days every year attending the convocation that occurs under this association's banner, nestled into the luxurious surroundings of Meadowood Resort in the Napa Valley. I've been to all of these Symposiums in the last 12 years, save one, and I can tell you that for anyone who writes about wine, or dreams of it -- or anything in between -- the conference represents an unparalleled opportunity. An opportunity to learn, to practice, and just as importantly, to celebrate wine writing and the people who are passionate about it. And amazingly, it's totally free. That's right. If you apply to attend, which involves submitting examples of your work, and you are accepted, you get to attend for free. No fees, free lodging at Meadowood, and all the incredible Michelin-starred food you can eat, all for the cost of getting yourself to the event, however much that might run you. Of course, if you work for some sort of media outlet, they can just pay your way, too, but for the average independent journalist or aspiring wine writer, if you can convince the fellowship reviewers of your talents, then you're golden. The event sponsors 30 fellowships, and applications are now being accepted until October 1st. I've watched magazines get launched from this conference. I've watched amateurs with a few blog posts and a paid wine article to their name blossom into serious wine writers that write regularly for major print and online outlets. And I've both watched and participated in the continual renewing of the intimate sense of community that the world of wine writing enjoys in part thanks to this Symposium. The week I spend in Napa as a speaker or attendee at this conference is one of the best weeks of each year for me, and I hope you'll consider joining me (and lots of other folks who are more worth getting excited about) at the event, either as a paid participant, or as a fellowship winner. Fellowship applications are DUE OCTOBER 1 and should be submitted online . Only professional (i.e. you have been paid at some point to write about wine) editorial or news wine writers are accepted, which does not include those who make their living in PR or wine marketing. I am, of course, happy to answer any questions you might have about all this.